April is National Credit Union Youth Month - Celebrate With Us! Our young members have limitless potential and this month we celebrate you. We want to hear your story. What are you saving for? 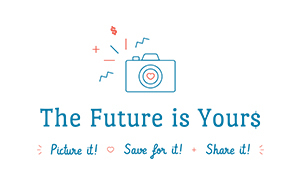 Picture it…Save for it….Share it! Go to Twitter and share your story. This high yielding certificate is available for ages 23 and under. Opening a youth share certificate is the perfect way to help them get a big start on their financial future. *APY (Annual Percentage Yield) as of 4/1/19. Only one Youth Certificate per member. Existing Youth certificate will be renewed into a regular certificate at the rate in effect at that time for 12 months, not the high-yield Youth Certificate. Once the certificate is opened the rate remains fixed through maturity. Early withdrawal penalties apply.